A roof protects our business, our home, and our belongings from the elements. When nature takes a turn for the worse, the results can be devastating. Then when you reach out to your insurance company to file a claim, you discover what a long and stressful process it can be. But there’s no need to worry. We’re here to guide you through the roof insurance claim process to get your claim resolved faster and get back to business or life. When dealing with a roofing disaster, it’s important to make sure you are getting the best materials, installed by the best roofers, all at the best price possible. That’s where we come in. We have trained insurance claims specialists in-house. We offer assistance in submitting your claim. 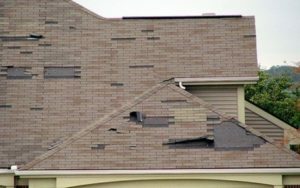 We assess the damage on-site with an adjuster. We provide free estimates for all permanent & emergency repairs. We also commit to getting things back to normal, on time. In addition to providing roof replacements and storm damage repairs, we manage the entire process from start to finish – making sure you are kept aware of every step in the process. Contact us the moment the wind, hail, or other damage is done to your roof, so it can be fixed as quickly as possible to prevent mold damage from roof leaks and other related issues. 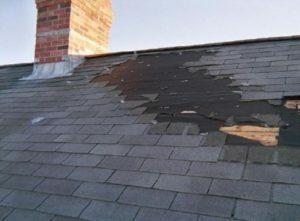 We will provide a free roof inspection and no-obligation quote for repair or replacement of your roof. Call us or request a free quote online. We serve Columbus and the Central Ohio area including Westerville, Gahanna, Worthington, Powell, Dublin, Hilliard, Lewis Center and New Albany. WE are HAAG certified inspector.